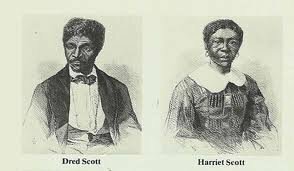 The Dred Scott decision by the U.S. Supreme Court in 1857 was the culmination of more than a decade of litigation by slaves Dred and Harriet Scott, who hoped to win their freedom. The legal battle began in St. Louis, where the Scotts won an initial victory. However, the verdict was appealed to the Missouri Supreme Court, where the ruling went against the Scotts. Some brilliant legal maneuvering brought the case to America’s highest court, where the institution of slavery was upheld by denying Dred Scott rights of citizenship. The final ruling laid some of the groundwork for the Civil War and forever put St. Louis in the forefront of any discussion on civil rights. Our contributors have closely studied the Scott case. David Konig is a professor of history and law at Washington University, and John Baugh is professor of African-American Studies, also of Washington University.